The Grimshoe Group of villages is blessed with five beautiful and ancient church buildings some of which date back in the region of 800 years. 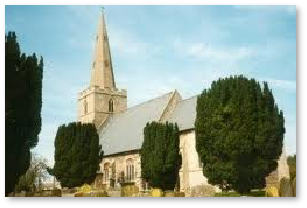 If you want to find out more about the specifics of each church and its location within each of the villages of Feltwell, Hockwold, Northwold, Southery and Weeting, please follow the links below. in the heart of the village, available to everyone who needs it. To find out more about the project follow this link. The Aisle, please go to What's On.